With this innovative service, your Caldera dealer can provide an exclusive monitoring option, ideal for spa owners who are on the go or have a spa at a second home. 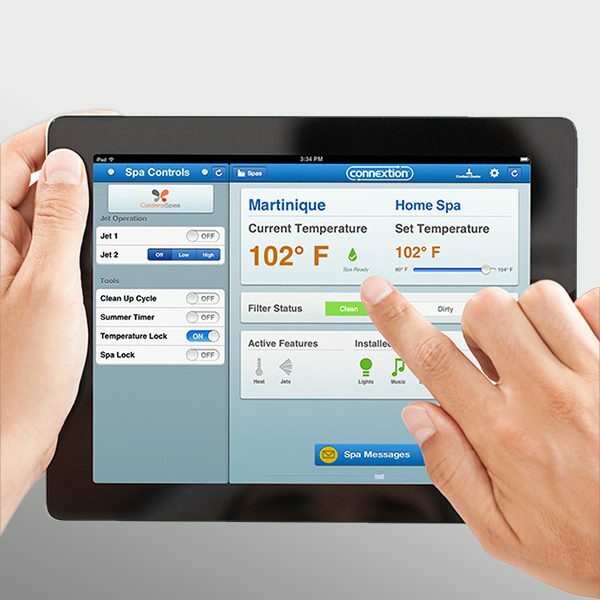 Should your Caldera spa need attention, the ConnextionTM messaging system can instantly alert you and your dealer so that your spa can be serviced at the earliest opportunity. And the Connextion system provides the added convenience of accessing spa functions remotely – so you can ensure your spa is ready when you want it to be.